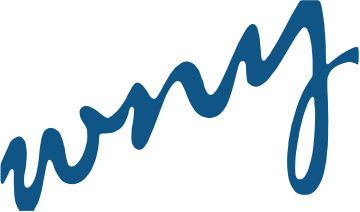 The Board of Directors and Officers of Women’s Network of York are appointed to serve from May thru April each year. These women plan and facilitate the meetings, organize special events and work on projects that benefit all WNY members. Although not a York native, Laura has lived in York for over 20 years. She has been a member of Women’s Network of York since 2010. She has served on the board of directors as the Program Director, Treasurer and now as President. Laura currently manages the Lending Department for White Rose Credit Union. She has been in the financial industry for over 25 years. 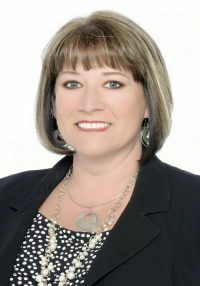 Her experiences throughout her career include, Mortgage Lending, Consumer and Business Lending, Branch Banking, Treasury Management and Investments. Laura is a 2012 Leadership York graduate and currently serves on the South Central PA Red Cross Board of Directors. Laura loves to spend time with her family. She enjoys cruising and camping with her husband Todd and their three children Jake, Brandon and Amelia. Most recently Laura became a first time Grandmother to twin boys, Elijah and Noah. Deb has been a member of Women’s Network of York since 2015. This group of professional women are ready and willing to help each other with their services. She has experienced this in her business and personal life. She feels it is an honor to serve on the board. Deb has spent the last 25 years as a Director with Pampered Chef. After graduating from Northeastern High School, Deb was a Corporate Secretary with McCrory Stores until the arrival of her first son. Staying home with her children was very important and is why she started her own business as a Director for Pampered Chef. Deb has 3 children, Justin 35, Travis 33, and Mandy 30. She is also blessed with 6 grandchildren ranging in age from 1 month to 10 years old. Spending time with her family is a must. She enjoys sharing the products, tips and recipes Pampered Chef has to offer. Deb is very passionate about her business and helping others. The beach is Deb’s “Happy Place” as she enjoys listening to the waves, so peaceful and relaxing. Aysa Urich was born and raised in York, PA where she attended West York Area School district. She furthered her education at Indiana University of PA, where she earned her degree in Journalism and Public Relations. She has been a member of Women’s Network of York since March of 2017. Aysa resides in Hellam with her husband, Mike, their son and dog! They all enjoy spending time outside, swimming, going on walks and being together as a family. They are currently awaiting the birth of their second child. Jordan was born and raised in York County and has been a part of Women’s Network of York since 2015. She is a sales professional with Safeguard Business Systems and has been there since 2011. Jordan graduated from Penn State, York campus with a degree in Business Administration. 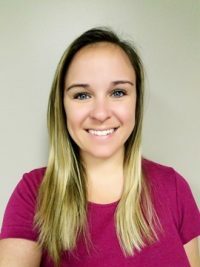 Jordan adores her job because she loves helping small businesses grow, by helping to develop a marketing campaign, direct mail piece, or simply by helping people brand their business with logoed apparel or other unique items. When she isn’t working, you will find Jordan with her husband, Matt of 8 years, two little ones, Willow 5, Eli 4, and their two dogs, Barkley a boxer and Piper a pit bull mix. Theresa was born and raised in York, PA. She has been a member of Women’s Network of York for almost 10 years. Theresa has served on the board in various positions, and is currently the Membership Director. Theresa is a Senior Sales Director with Mary Kay Cosmetics. Theresa has been with Mary Kay for almost 18 years. Prior to Mary Kay, Theresa was a Pharmaceutical Sales Rep and Stay at Home Mom. Theresa graduated from York Catholic High School and Bloomsburg University. Theresa is married to Mike and they have two adult children, Peter and Brooke. They enjoy spending time with their family and friends. Their favorite vacation destination is Myrtle Beach. They enjoy watching sports as a family, especially the Buffalo Bills and Boston Red Sox! For the past 4 years, Susie Mummert has been the sole owner of Furniture Finesse in York. Her family celebrated their 36th year in business in 2017. Susie currently serves on the board of directors for Women’s Network of York, is a member of the York Economics Alliance, and belongs to Women’s Business Center Organization, Buy Local Coalition & the York Ski Club. Susie graduated from West York High School in 1980 and joined the family business, Helf the Carpetman. They started a satellite store called Windows, Walls, Wicker and Whatever and sold premier wicker and rattan, wallpaper and window coverings. It has grown to be renamed and incorporated as Furniture Finesse and is York’s only Hunter Douglas Window Fashions Gallery Dealership. For pleasure Susie enjoys being with family, snow skiing, water skiing, fishing and most anything outdoor related. Kathy Trapp grew up in the Midwest (Indiana & Ohio) before her family settled outside of Cleveland on a small farm. Kathy currently lives in the Camp Hill area. She is in her second year of membership with Women’s Network of York. Kathy is currently a Senior Agent with Us Health Advisors, a division of US Health Group based in Fort Worth Texas. 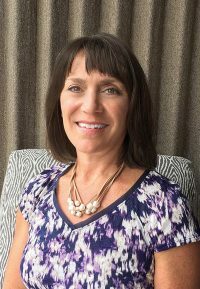 Kathy’s career spans 30 years in the grocery industry working for Kroger, Supervalu and then Giant Foods of Carlisle where she headed up their corporate bakery department. Her foray into the entrepreneurship involved the purchase and operation of two Curves for Women franchises in the Harrisburg area. 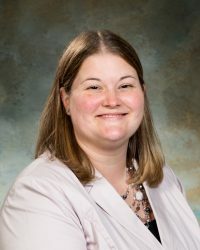 Most recently she taught middle school Family and Consumer Economics and business in the Central Dauphin School District. Her desire to help people promoted her change to her current position as a licensed health insurance agent. Kathy’s passion is tennis which she has played from a young age. Currently, she competes year-round in USTA leagues traveling to Lancaster, York and Hershey for matches. Since she grew up in Cleveland, she is an avid Browns fan believing that one day they WILL win the Super Bowl. Lauren has loved being part of the Women’s Network of York since joining the group in 2017 after starting her own business the same year. 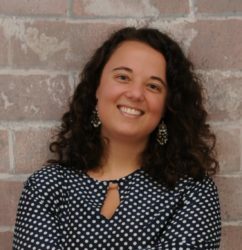 As publisher of The Brittany Insider magazine, Lauren works with the residents living in the Brittany Estates neighborhood of York, PA to produce a private monthly publication that brings the neighborhood closer together and helps local businesses grow. Lauren developed her journalism and marketing chops at American University, before refining her experience over the next seven years as a journalist at various newspapers across Central PA. She is a member of York County Economic Alliance, WREN, and York Young Professionals. When Lauren isn’t working, you will find her on a hike with her boyfriend Eddie and dog child Lucy, or on another travel adventure, or baking cookies, or binge watching the Food Network, or drinking wine with friends. It’s the small things. Lori Detter has lived in York, PA her whole life. 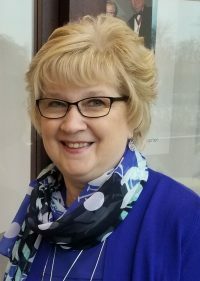 She has been a member of Women’s Network of York since September 2011 and enjoys helping this valuable organization by serving as a Board Past President. Lori works for Peoples Bank as their Merchant & Card Services Manager. 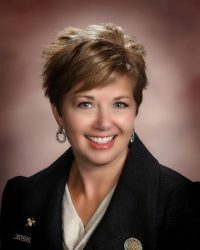 Lori began working in the banking field after graduating from York Suburban High School. She started as a teller with York Federal Savings and Loan. 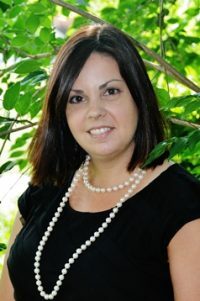 She has since graduated from Millersville University and has worked as a Customer Service Associate, Branch Manager and Business Banker during her 18 year banking career. Lori enjoys helping business owners with their cash flow & credit card processing needs. Lori lives with her husband, Justin, 5 year old daughter, Natalie and 3 year old son, Jayden, in Red Lion. They enjoy spending time with their family, friends and especially their 12 year old English Bulldog, Brutis. The Detters are huge Pittsburgh Steelers & University of Michigan fans! !